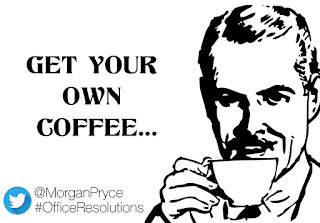 WIN: An #OfficeResolutions Cup! Picking Other's New Year's Resolutions! 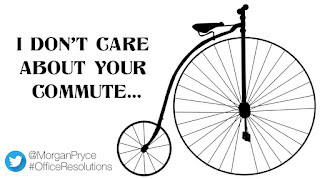 Carrying on with the new year resolutions talk, wouldn't it be great if we could set people's new year's resolutions for them? There's always someone who irritates us to the maximum, whether it's at home, at work, at the gym, or even in the local supermarket, without a doubt, there's someone you know with awful traits! However, we don't necessarily dislike these said people, we just don't want to know what they had for dinner last night and how they made it, or what caused the latest argument between them and their partner, or how many lengths their child swam at their swimming lesson last night! 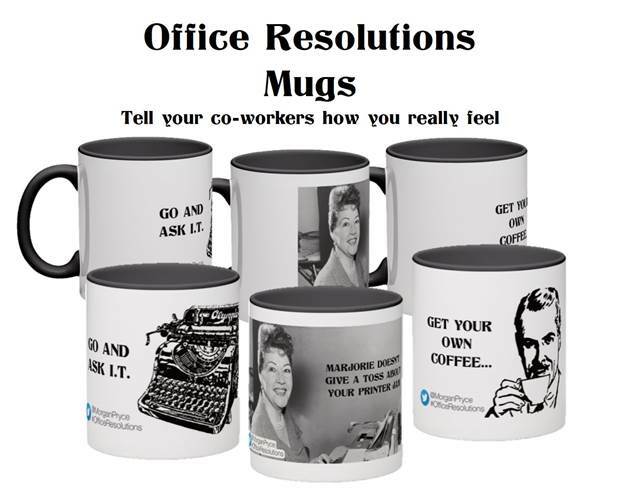 Now with the #OfficeResolution mug, supplied by Morgan Pryce, offices to rent in Mayfair, you can place a cup on your colleague's desk or monitor, and give them a subtle hint without saying anything face to face! Not because anyone is chickening away, but who wants to be the limelight of the latest office drama, where HR have got involved and wants everyone to sort out their differences! 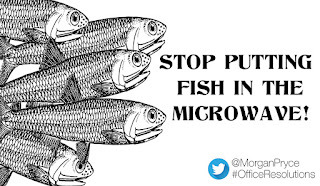 I've come up with a few myself, with experience of working in a small office, I know how annoying and irritating things can be! Like when Sarah, on more than one occasion turned the fridge off instead of the microwave by mistake when doing her kitchen duty job. I'd tell Sarah to go to Specsavers, because your specs aren't doing the job! I'd tell Lee to stop spilling his gossip to Harry, because Harry annoyingly tells me everything about Lee when he decides to walk the same way home as me! Last but not least, I'd tell my manager that no one actually likes his cups of tea and coffee, so they're not surprises to us at all! Buy us a Costa and we'd all like you much more! 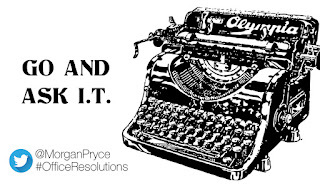 What would your office resolution be if you had to pick one for someone else? Do any of the ones above sound like something you'd want to drop a hint about? If someone had to pick one for me, I can imagine them giving me one saying something like, go and buy a cardigan, because I always moan about how cold it is! To be in with the chance of dropping a hint at work yourself, by winning a cup and some stickers, enter the competition below!